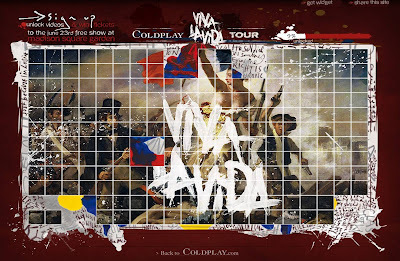 Coldplay are running a range of interesting digital activity to support their new album and forthcoming Viva La Vida tour. 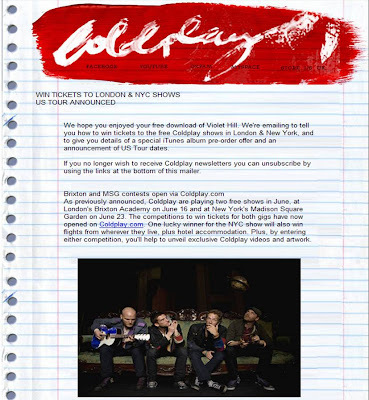 Ranging from free downloads and itunes bonuses through to a tease and reveal online competition where fans have the chance of winning tickets to free Coldplay gigs in London and New York Madison Square Garden. 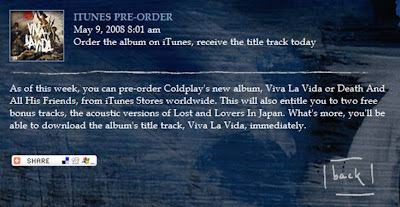 Coldplay have also taken the opportunity to announce that anyone who pre-orders the new Coldplay album on itunes will get exclusive bonus material and will be able to download the albums title track immediately. 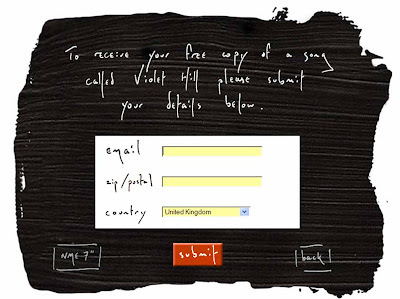 This activity is very well executed and is a great example of how bands can give something back to their fans without compromising a forthcoming album launch. 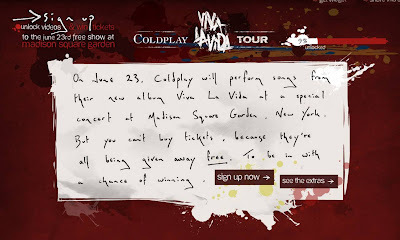 This activity is all geared towards the new album and by giving free content and opportunities for fans to get involved, Coldplay have engaged their audience and have raised interest / excitement levels over the new songs. Clever stuff!